Check Security Ltd has been operating for many years and it is a reliable and professional company that can deliver state of the art alarm monitoring. With an increase in domestic and commercial burglaries within the United Kingdom it makes sense to install a security system. However, the presence of an alarm is not enough to discourage a determined intruder. This is where alarm monitoring can help to make property more secure. The fire alarms in Wigan fitted by Check Security Ltd are constantly monitored and are installed with an immediate audio response system so that intruders can be challenged. 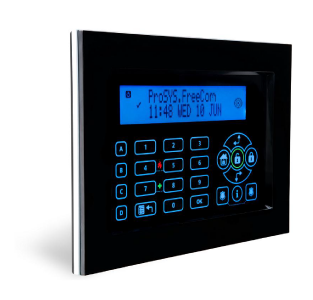 Alarm monitoring can be arranged for a low monthly cost and is activated within 20 seconds of a break in. An experienced member of staff will listen in and the intruder will be challenged as emergency services are alerted. Making sure your business is protected with alarm monitoring is recommended for all commercial properties and can help to give peace of mind for domestic homes especially when owners are away. Our immediate response to intruders in the home or business is just one good reason to choose a contract for alarm monitoring with Check Security Ltd. You can save money as prices are very affordable and there is no need to sign up for an extended contract. Check Security Ltd is proud of its service which guarantees a fast response and customer service is high on the list of priorities for this independent security solutions company. If you want premium installation work and a top quality back up alarm monitoring system Check Security Ltd is the answer to your prayers. Check Security Ltd has an excellent reputation and the business specialises in burglar alarms and other kinds of security systems. Work is guaranteed and fully certified. Installing an intruder alarm is a good way to protect your property and having alarm monitoring means that the police will be alerted immediately if a break in occurs. Alarm monitoring from Check Security Ltd will help to keep your premises secure.